← Happy Shareholders Day, Apple! 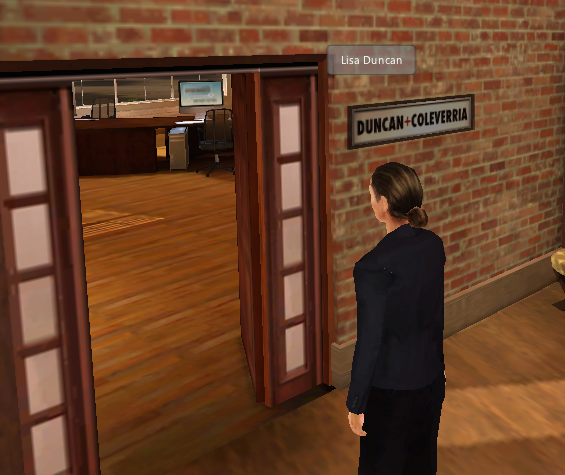 Lisa Duncan heads into the Duncan+Coleverria’s digital office for the day. Many consider the use of personal devices, such as smartphones and tablets, as the driver behind this increasing trend. One year ago, Forbes published Five Essential Elements Of The Digital Workplace, focusing on the strategic use of devices, communications infrastructure, business applications, telecommunications tools and security to create a healthy digital workplace. Our company has worked exclusively out of a digital workplace for the past five years, and while I read the reports and the trends, I am struck by what is missing from the conversation. consistency among our team’s presence. I suppose it’s easy to see why I prefer Gartner’s definition of digital workplaces! We had the devices, the tools, the applications, yet we weren’t working more effectively with each other. We weren’t engaging any better with these tools and devices and we certainly didn’t feel more agile. My caution for any business considering moving part or all of its operations into a digital workplace is that they must understand and nail down the operational infrastructure, and not just the IT infrastructure. How do you do this? The solution will be different for every business, after all each business has its own culture, size, functional, and budget needs. However, I believe all business should think about digital workplaces from an operations perspective. The right solution for your business requires not only input from IT, but also input from HR, Marketing, and Finance. All departments must have a seat at the table because buy-in and adoption in a digital workplace requires the solution to be cost-effective, address all the needs of the company, have the right cultural fit, and be supported with the right training and expectations of use. Although our company is small, we often collaborate with larger teams for our business using our digital workplace, Flipside Workspace. Over the years we have developed a good understanding of what works in digital workplaces. We’ve also learned that success in a digital workplace means considering the behavior of people first and the technology second. Companies that understand this will find much success with digital workplaces. What is it like to work in a digital workplace? Well for us, remarkably it’s a lot like working in a physical workplace. In designing our digital workplace, it was a big priority for us to feel like we were getting all the benefits of working in a physical office, while having more geographical flexibility. Our workday begins when we head into the office every morning. We check out who is in the workspace, we greet each other, and we hunker down in our “office” while we get things done. The convenience of this “perpetual presence” to our colleagues means that if we have a quick question, we can quickly ask a colleague. If we need to gather a group together for an impromptu meeting or creative discussions, we can do that too. We schedule meetings, we invite clients, we do all the operational functions just as we would in a physical office space. We are able to foster a culture of innovation, build trust with our clients, and easily manage and communicate with our teams. And yes, it’s pretty awesome working in a digital workplace. But don’t take our word for it. Register at Flipside Workspace to download our app, then pop-in and see for yourself. Lisa Duncan is CEO of Duncan+Coleverria, a consulting firm that provides growth strategies for businesses with dispersed workforces. She is co-creator of the digital workplace, Flipside Workspace, an online collaboration platform designed to inspire creativity, enhance employee engagement, and nurture relationships among professionals in a digitally connected world. This entry was posted in Digital Workplace Concepts and tagged business challenges, dispersed workforce, example of digital workplace, flipside workspace, future of work, how to work online, immersive collaboration, remote worker, telecommuting, telework, virtual office, virtual team, work from home. Bookmark the permalink.